Medwise Partners offers a full range of consulting services designed to improve your overall underwriting processes. Our expert consultants bring many years of hands-on experience in management and underwriting for healthcare plans. 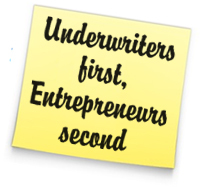 Because we are Underwriters first, and entrepreneurs second, we understand the specific pressures of running an Underwriting Department. We have walked in your shoes and our recommendations are based on our own past experiences across a wide range of engagements with national and regional U.S. health insurance companies.